FurReal Friends Strawberry Rose Pony Pet Only $10.75 + FREE Prime Shipping! You are here: Home / Great Deals / Amazon Deals / FurReal Friends Strawberry Rose Pony Pet Only $10.75 + FREE Prime Shipping! Is a FurReal Friends pet on your Christmas shopping list this year? 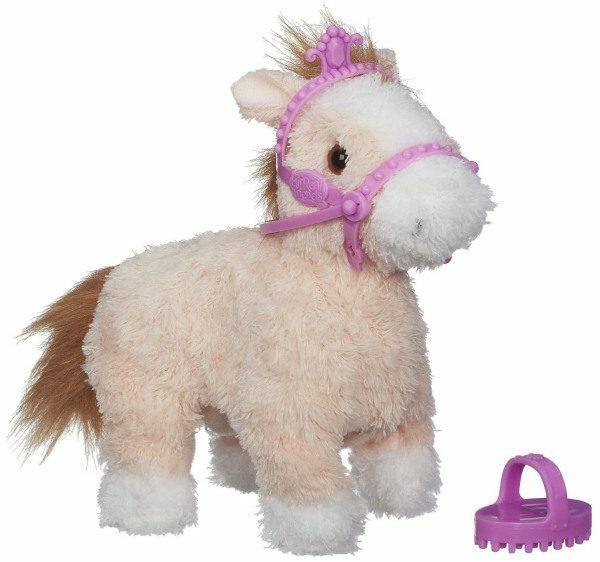 Then, you’ll want to take advantage of this nice deal – get the FurReal Friends Strawberry Rose Pony Pet for $10.75 (reg. $18)! And, shipping is FREE with Amazon Prime or Super Saver Shipping! My daughter LOVES FurReal Friends, and this is definitely a buy-it-now price for me! I love that this pony can walk and move its head – so much fun for kids to play with!